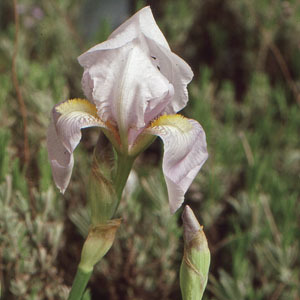 This plant has typical iris flowers in a pale violet color. The creeping rhizome is aromatic and is used in potpourri and perfumery. Categories: All Items, all potted plants, deer resistant, medicinal herbs, Potted Plants, More..